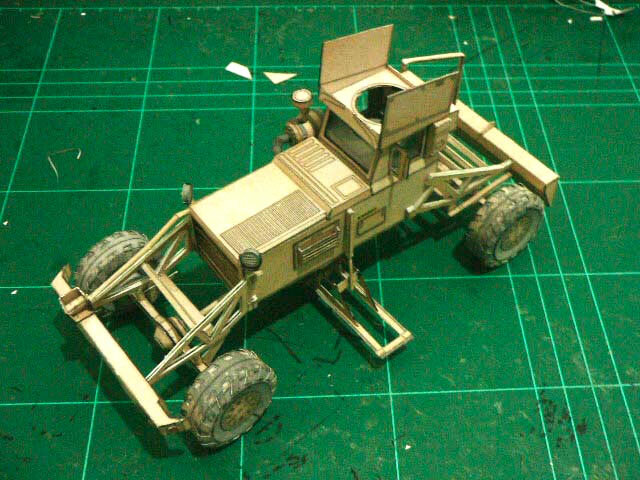 Very rare VMMD (Vehicle Mounted Mine Detection ) paper model kit from Tekzo (paperhobby). I notice there is a nice detailed improvement on this model tyres. 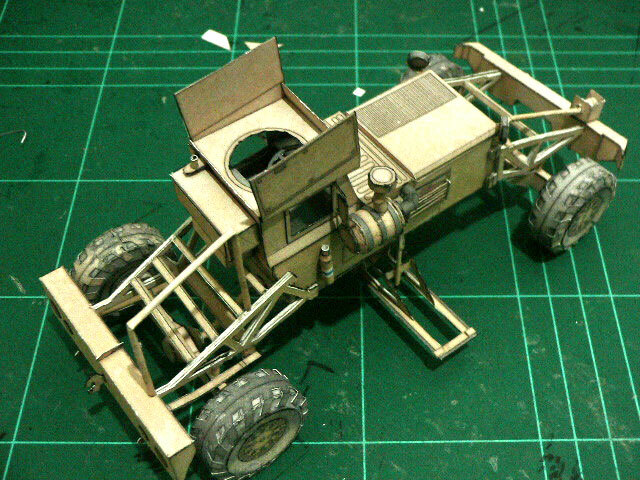 I think wheel is the most vital part in a vehicle scale modeling, it must looks convincing and he did a good job on modeling and texture. 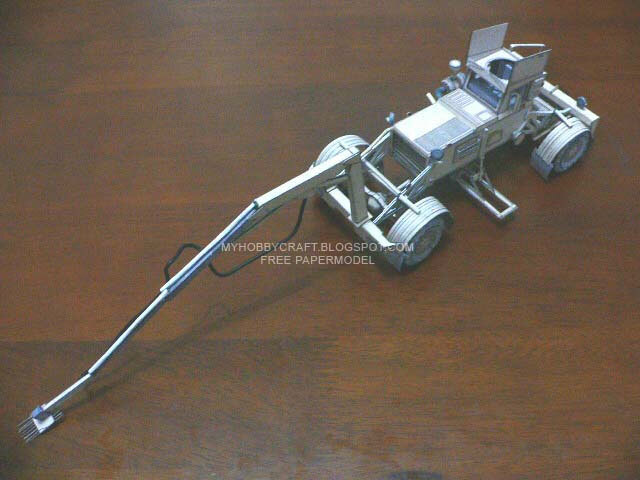 When I first saw this tractor like vehicle 3d model was being develop, I doubt that tractor could withstand the mine explosive power because I thought it was a mine plower, but apparently it is a mine detection, for detonating and sweeping mines will handle by other trailer. 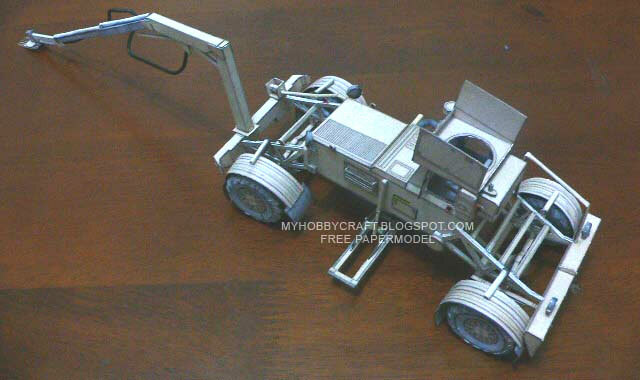 I like the detail of this model, Rizky made it in his favorite 1:35 scale as usual. The real vehicle was developed by US Army.